Are you pregnant, or thinking that you might be pregnant? If that’s the case, then the next thought might be how much having a baby will cost you. Don’t worry – I’ve created this comprehensive list of where and how to get baby coupons by mail that you can request to save as much money as possible on the things that you’ll need to make baby happy. Read on to learn all about how to get baby product coupons by mail. Are you after free baby samples too? See tons here! It’s no lie that babies need a ton of stuff and that baby stuff can really get expensive. When you’re having a baby it pays BIG time to get baby coupons in the mail for free baby stuff, or even to try out new baby brands for free! Whether it’s Huggies coupons that you’re after, or maybe free diaper samples, this is the place to be. When I was pregnant with our son I remember being so nervous about the costs that I knew would be on the horizon once our son was born. There would be diapers, and formula, and bottles, and clothes upon clothes upon clothes. Not to mention the rising costs of things like doing way more laundry and dishes… And, then since I was working outside the home, there was daycare. Daycare was $1000 per month alone that we weren’t used to spending. I knew that I had to find a way to get companies to send me free baby stuff in the mail. But there weren’t any really great resources that I could find of exactly how to get free baby stuff by mail. So, here I am, to the rescue — I’ve made my own list of free stuff by mail that you can request to be mailed to your house. Below, you’ll find free baby stuff like diapers, formula, magazines, gear, clothes, and much more. Some of the items are new and some are used, but your baby will love them all. And, if you happened to stumble upon this, and it’s not you having the baby, please share this post. It’s sure to help someone you know! The great news, though, is that there are several baby companies that send baby coupons by mail once you notify them that you’re parents-t0-be. The first place that I recommend getting free baby coupons from is the popular diaper and formula companies. Even if you plan on using cloth diapers, and you intend on breast feeding, it helps to be ready and prepared, should you decide to change or want to explore other options. Free baby stuff like free diaper samples can be easier to get than you might think. 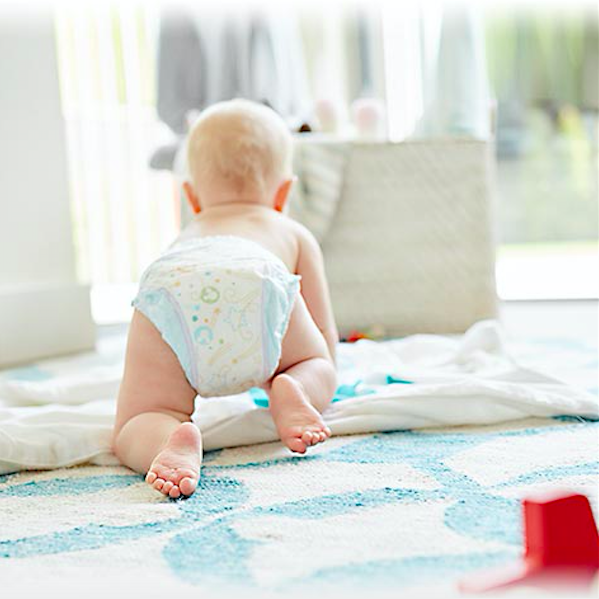 EverydayHappy is offering a set of free diapers as a matter of fact right here, right now! You’ll have to pay shipping, but hey, what a great way to try them out for free without having to buy a large pack. Huggies also has a similar program called Huggies Rewards. While you’re pregnant, submersing yourself in the newest and best advice and information is uber important. Take advantage of free baby magazine subscriptions to Babytalk, American Baby and many other parenting magazines when you find out how you can get free baby magazines in the mail. Nice, huh?! Do yourself a favor and bookmark this page right here. Every single day there are new baby coupons added and they’re free to print at home. Wait isn’t printing money illegal? Not this way! Although this isn’t a place to get free baby “coupons” per se, it’s still a great way to save money on baby stuff, and that’s the same as a coupon, so it’s worth mentioning. It’s hard to part ways with some really great and expensive baby tools and items, so understandably, people will sometimes want to get even a little bit of cash out of their gently used baby items. Check craigslist to find gently used baby stuff and you never know, you might even find some free baby stuff on there – it’s been known to happen! You just never know who has a jogging stroller that’s just collecting dust, or an exersaucer taking up needed space. 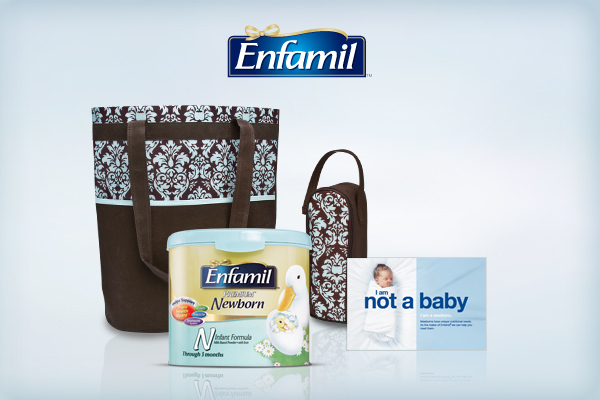 Asking around to friends and family is a great way to score some free stuff for baby! This is a toughy – but it’s sure to pay dividends! Pay special attention when you create your baby registry. Sometimes you can get a free baby gift or gift card when you complete a baby registry, and almost all baby registries offer a coupon on items that are left on your registry that were never purchased for you – some registries offer as high as 20% off, which can add up, especially on those more expensive items like cribs and strollers! The Cute Kid ** This SUPER popular baby freebie is back! Submit an adorable photo of your kiddo to the Cute Kid contest HERE and you’ll receive over $70 of free products with your contest entry. Seriously! ** Once you’ve entered your photo, head to “my dashboard” to claim your free canvas photo print. And, if your child gets in the running for the cutest baby contest, there is a chance to win thousands of dollars and there’s even a yearly contest winner for a $25,000 College tuition Fund! Wouldn’t that be nice?! Enter your kiddos picture here! Head here to request 3 FREE Board Books, 1 Plush Book + a Set of Discovery Cards for just $4.95 in shipping and handling to get the set to your house. Join the Dr. Seuss™ & His Friends book club today and receive a Welcome Package with 5 Dr. Seuss storybooks for just $5.95 plus a FREE Dr. Seuss™ & His Friends Activity Book. Shipping is FREE. If you decide to stay in the book club, each month you will benefit from receiving 3 more Dr. Seuss™ & His Friends storybooks to review and enjoy. You can cancel anytime. Choose from the Diaper & Wipes bundle or the Essentials Bundle (or BOTH if they’re available – see my cart below!) Just pay the $5.95 shipping to have your bundle(s) mailed to you (if you choose BOTH you’ll pay just ONE $5.95 shipping fee!) or your recipient and cancel after delivery if you wish to do so. There’s a good chance that you’ll also get some baby coupons by mail from The Honest Company after you receive your bundle as well. Get trusted advice for every stage of your baby’s development, plus discounts on Enfamil products, free samples and goodies, like a FREE Pack ‘n Cool. Request your FREE baby care pack. Protect baby from the sun, wind and rain with a free carseat canopy. There are so many options to choose from and use coupon code SHOPHER1 at checkout. Shipping runs around $12 depending on where you live. These are SO popular! FREE 30 days to Amazon Family Program. Consider signing up for the Amazon Mom program. This program assures that you’ll get special discounts only available to parents and caretakers with new babies. The first 30 days are free when you sign up here. There are tons of different styles, sizes and more. Check them out and at checkout simply enter coupon code SHOPHER1 to see your total drop to zero. Score 10 pair of Breast Pads completely FREE when you use coupon code SHOPHER1 at checkout here on the Breastpads site. You’ll need to pay shipping to get these to your front door which starts at $7.95 and only 50¢ for each additional item. That’s not too shabby for 10 free breast pads, perfect for a new Mommy! Getting the news that you’re expecting a new baby should be an exciting and joyous time – not overwhelming because you’re stressing about cost! Use these resources and tips for getting baby coupons in mail to help ease any worry, and make this time in your life even more special.